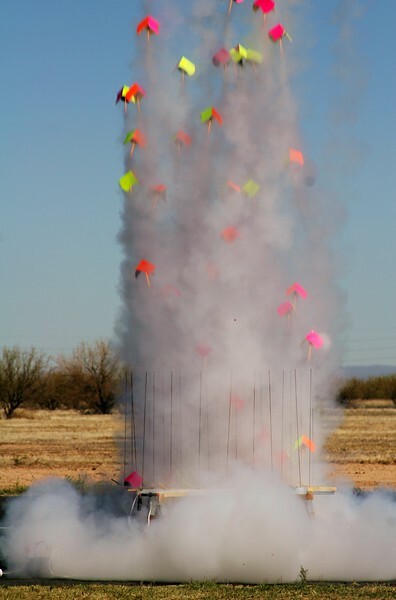 I went out taking pictures of the Southern Arizona Rocketry Association's 5th Annual Winter Rocket Launch. It was really neat! They had lots of talented people putting together a wide variety of rockets! Here's an album of some of the best ones, I hope you enjoy! I've also posted one picture in particular where they launched about 50 rockets all at the same time. For more pictures, see This link.